The sun has started to peek out and warm up the air. The days are longer. Last day of school photos are plastered on your Facebook feed. Dare we say it; it's beginning to look a lot like summer! 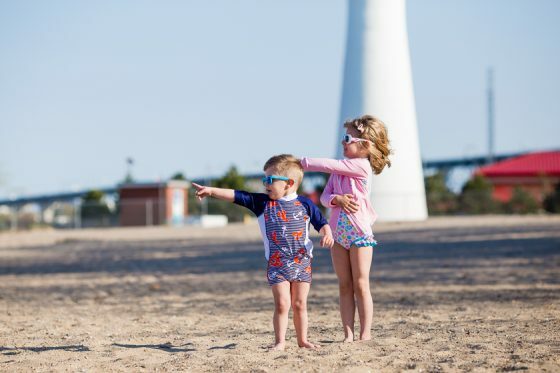 If you're in the market for some new summertime swim suits that are the perfect marriage between UV protection for some fun in the sun time, and cute and practical for romping in the surf, look no further than the 2016 line from Platypus Australia. 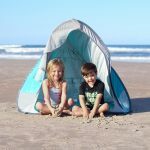 Platypus Australia was started by two moms in 1996, who had first hand experience trying to wrangle multiple children through the exhausting sunscreen-applying process when they were out and about at the beach or poolside. 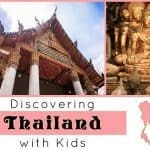 They realized that there was a high demand for rash guard style swimwear in the kid's swimwear scene, where the kids could still be cool at the beach, and not be bogged down by having to layer on traditional cotton clothing. 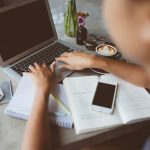 Since 1996, Platypus Australia has dominated the Australian and United Kingdom market, and is now expanding into Europe, Asia and the United States. 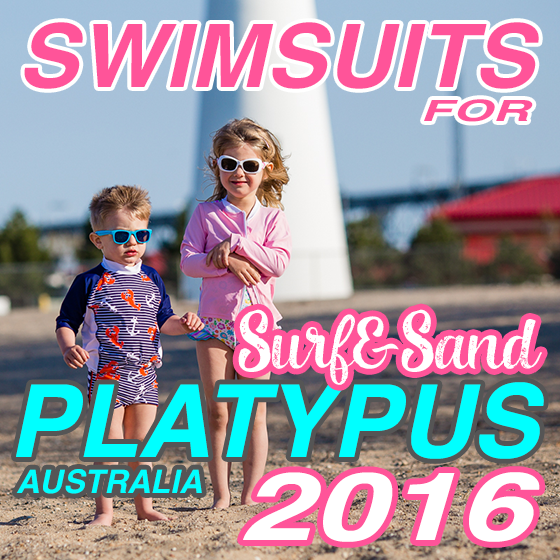 Platypus Australia is a distributor of high quality, fashionable UV protective swimwear for boys and girls (and even adult women!) 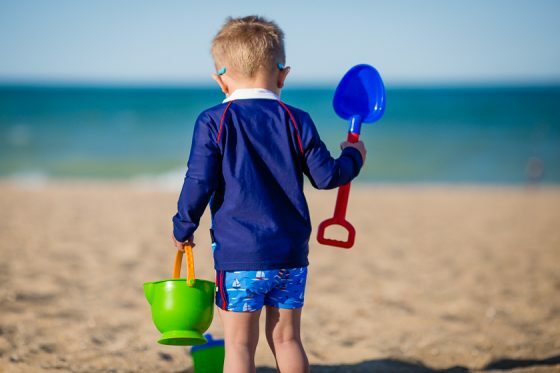 Items ensure the wearer maximum sun protection, blocking out at least 97.5% of harmful ultraviolet radiation, meeting the strict criteria’s of both the Australian Radiation Protection and Nuclear Safety Agency (ARPANSA) and the British Standard for ultraviolet radiation. Platypus Australia suits are made from LYCRA® XTRA LIFE™ because of its amazing shape-retention, maximum breathability and most importantly its ultra chlorine resistance properties. Platypus Australia suits are cute enough to mix and match, and you'll want to continue buying them season after season. However, the chlorine-resistant properties ensure that their suits from last season are still in top-notch condition. Bloom Collection offers your little girl the beautiful pastel hues that she loves, while also having girlish and dainty features, such as ruffles, fun color combinations and more. 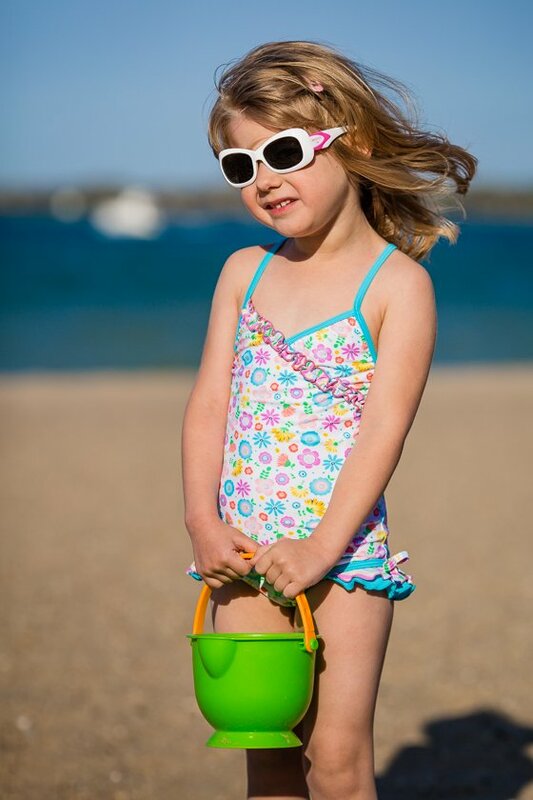 We love how the one-piece suits from Platypus Australia all come with adjustable straps, so even little girls that are long-torso-ed can have a comfortable bathing experience that is modest and fun. 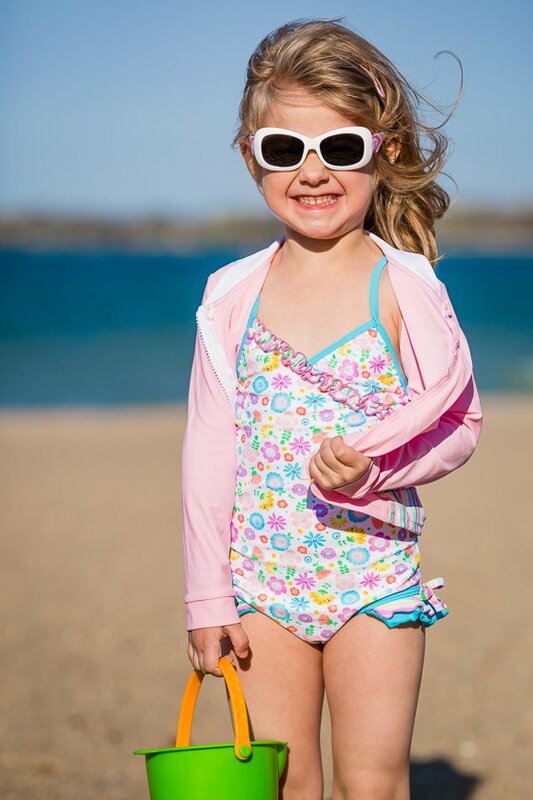 Add a zippable UPF50+ Sun Jacket to the absolutely adorable Fru Fru Swimsuit for an outfit that is functional, yet stylish. The Fru Fru Swimsuit has an eye-catching pattern and adjustable cross-straps that offer a comfortable fit. We cannot get over the sweet little ruffles at the leg opening, either! The UPF50+ Sun Jacket is a great jacket to throw on at any point - it's breathable enough that she won't feel hot, and also offers some additional warmth inside the water as well. We love the striped pattern on the backside of the jacket that coordinates perfectly with the patterns on the suits. If you're looking for ultimate sun protection and modesty, the sun jacket also pairs nicely with these leggings. 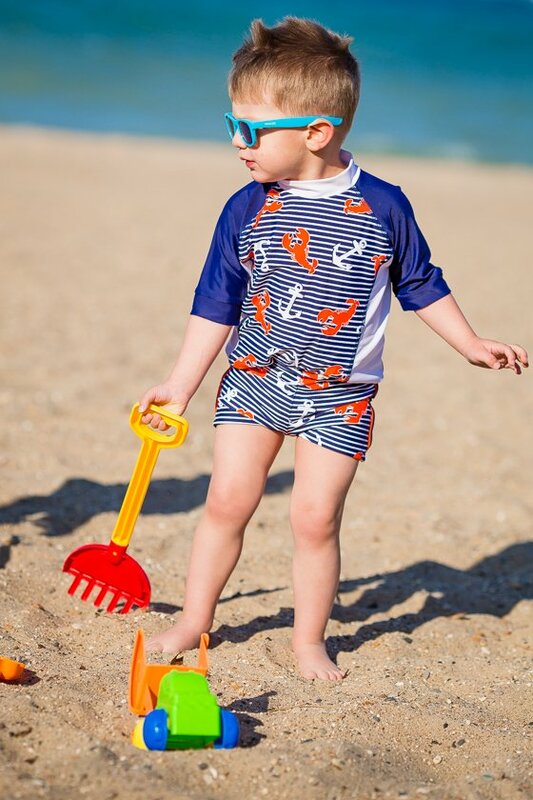 The Regatta Collection for Boys is cute and boyish, while also maintaining the same sun protection that Platypus Australia is known for. We cannot get enough of the Boyleg Style shorts this season. 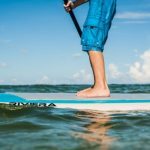 We love how they look very Euro-chic, and aren't as bulky in the water as board shorts typically are (and they tend to dry quicker as well!) 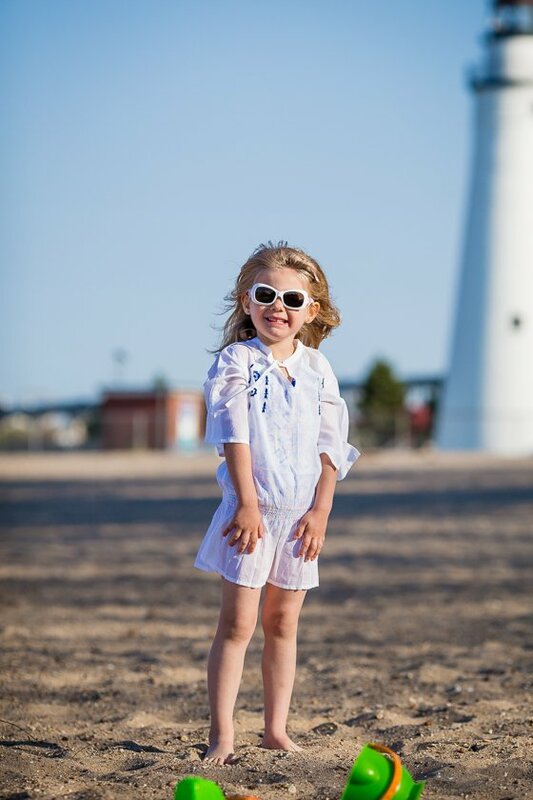 The small details make this outfit adorable, such as the piping stripe down the leg side, the patterned backside that coordinates perfectly, and the small sailboat detail on the leg. Once again, the long-sleeved UPF50+ Sun Jacket is the perfect choice, because it can be easily removed or added throughout the day, and you won't have to struggle with him to slow down; the zipper is quick and easy! The sailboats that adorn the chest are a cute addition to the raised collar, offering more sun protection on the neck area. The Kaleidoscope Collection is the perfect marriage of primary colors, creating bold fashionable patterns that she will love. 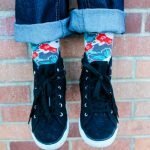 We can't get enough of the retro vibe from this collection, and we love the bold polka dots paired with the bright and fun splashes of red and yellow colors. 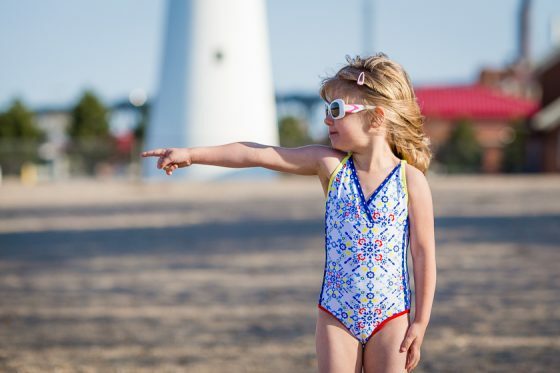 The one piece Race Swimsuit has a pretty kaleidoscope print, mixed with a trendy cut of suit, which will allow her to be a fashionable trendsetter. 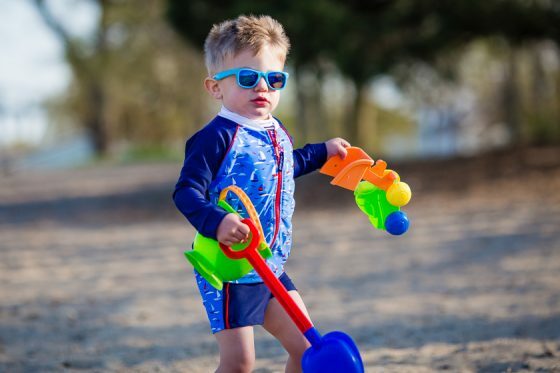 It is the perfect cut swimsuit for swim lessons, swim team practice, or playing at the lake. If you're looking for sun protection that can also double as a cover-up, the Hipster Dress cannot be beat. The newest cotton cover-up from Platypus Australia, it makes the perfect addition to any summertime outdoor wardrobe. 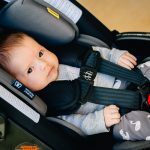 The pretty embroidery is eye-catching, and the adjustable drawstring flatters any child, and offers the ability to cinch it into a shorter or longer style dress, depending on the coverage you're aiming for. The Lobster Catch Collection plays off the same nautical feel that the Regatta collection does, however the collection absolutely screams Summer at Cape Cod. The lobster details in bright orange are fun and funky, and the stripes offer a cute detail. 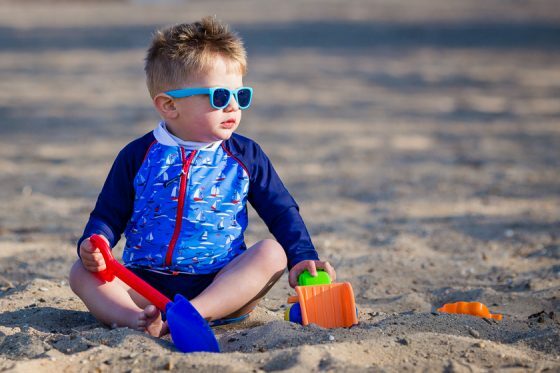 The Sunshirt is one of the most popular styles for boy's rash guard, and is a tried and true classic. Team it up with some stylish boyleg shorts, or wear it with some board shorts for the classic surfer vibe. The high collar protects the neck all day long. No labels are sewn inside the shirt, so there is nothing that will become uncomfortable for extended, all day wear. Flatlock sewn seams won't rub or chafe the skin. 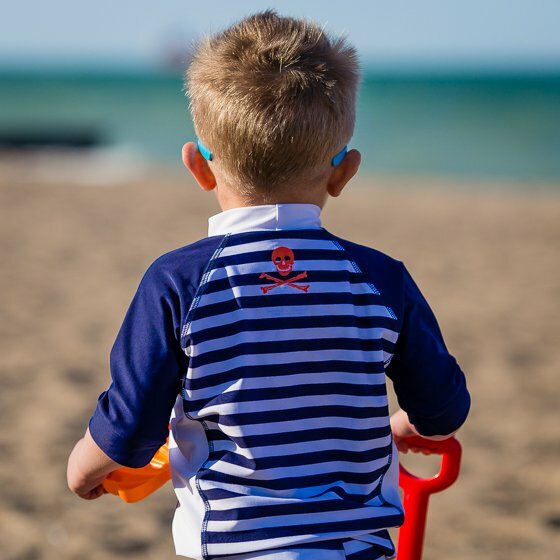 We also love the pirate skull detail that plays nicely with the theme on the back of the shirt. 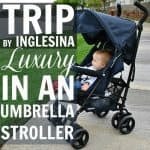 Sun protection doesn't just end at the skin. Sunglasses are often thought of as a stylish accessory, meant to complete an outdoor outfit, however, eye protection is very important as well. Don't believe us? Check out this post on merging sunglass style with practicality. 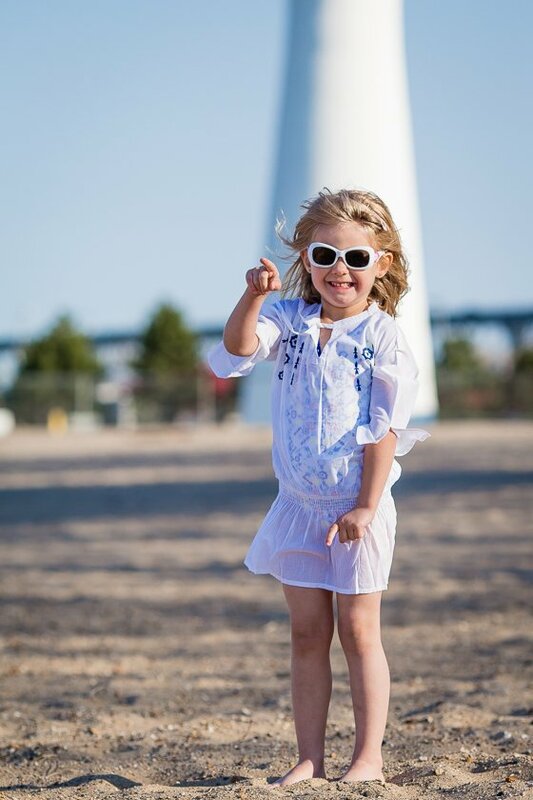 Real Kids Shades are a new favorite brand of ours, and were an instant favorite with our Daily Kids as well! 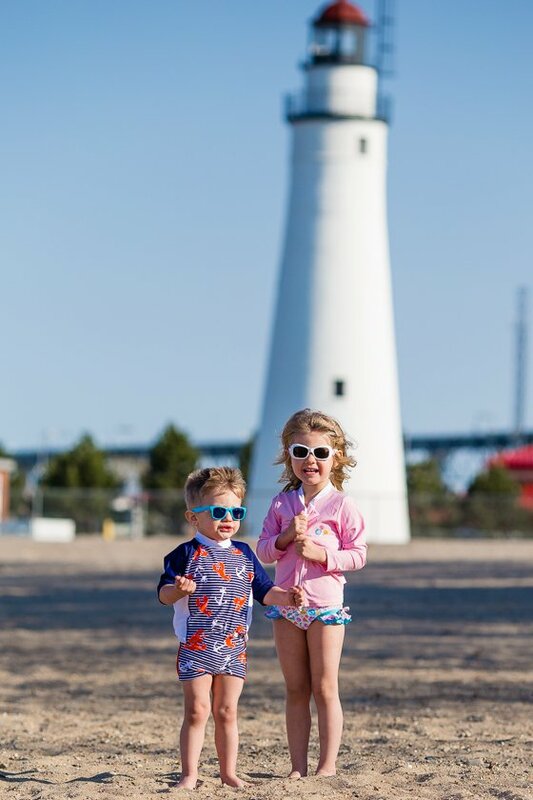 Since 2002, Real Kids Shades has made it their personal mission to protect as many children’s eyes as possible from the damaging effects of UV radiation. 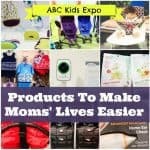 They offer affordable, real sunglasses designed just for kids. They manufacture them with the best materials available and ensure they block 100% of the sun’s harmful rays. 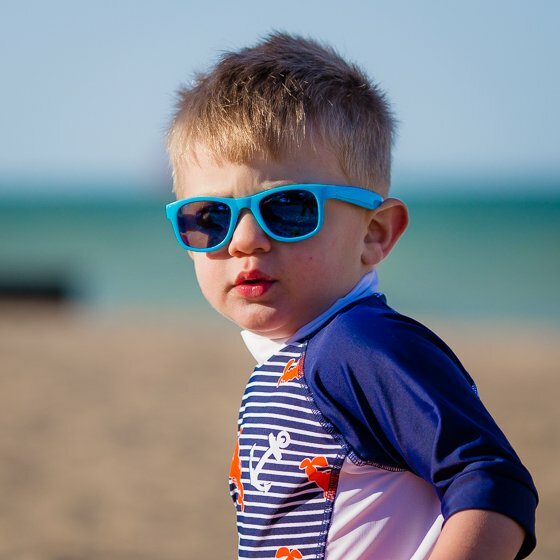 Sunglasses are made in five available sizes, making sure that your child will always have the perfect fit that they will never object to wearing, from birth through the age of 12. 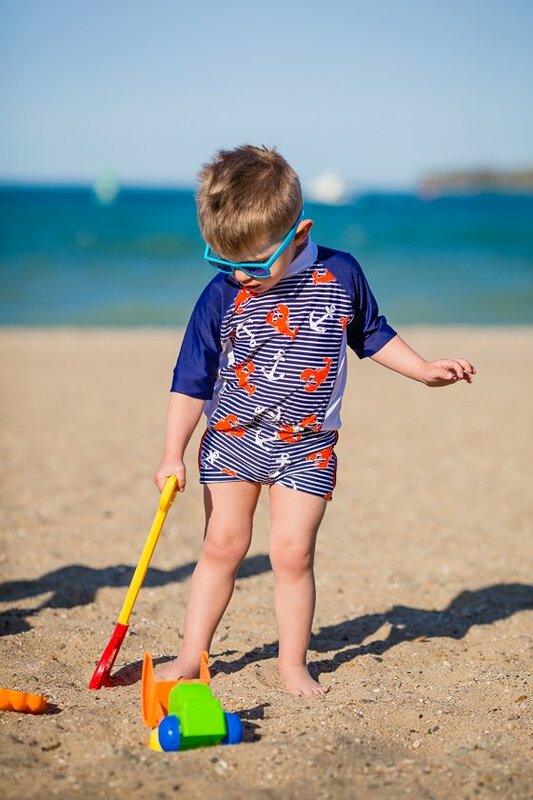 Real Kids Shades is constantly investing in product development, ensuring that your child will always look super cool while also having the best quality of eyewear in the industry. 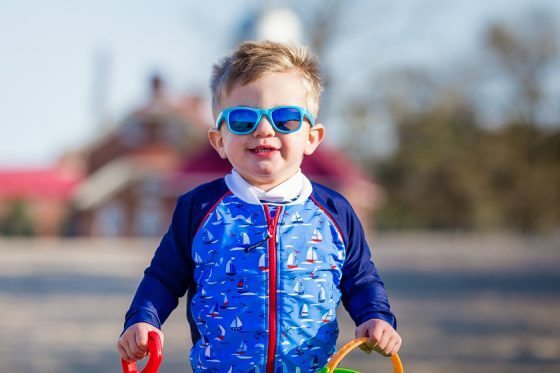 For toddlers, the Surf glasses will make your kid look like the coolest kid on the block, and classic styles with new neon-inspired color pallets are the key. They hug the head nicely, and wrap around just a bit, so they don't fall down or become a hindrance at all. 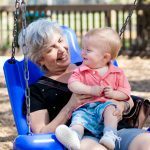 Since they are designed with children in mind, they are also flexible and sport professional grade polycarbonate lenses. 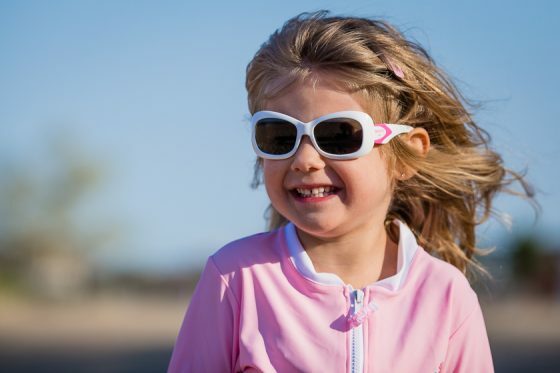 The Breeze Polarized glasses for youth aged 4+ has a hip, squared off style frame. A wrapped style provides protection from peripheral light, and gives her the ultimate in eye protection. The P2 Lens technology provides both polarized and polycarbonate lenses. Not to mention, the six available color schemes will go perfectly with any summer wardrobe. 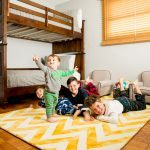 We know that appeasing to both child and parent's style is tricky business sometimes, but with all the options available at Platypus Australia and Real Kids Shades, hopefully this can spread some light to a couple amazing brands, sure to take the United States market by storm in the following years. 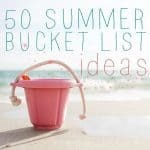 For more cute summertime styles, make sure to subscribe to our DISCOVER section.